South Korean authorities approved April 8, 2005 the nation's largest single foreign investment — Standard Chartered's $3.3 billion purchase of the country's seventh largest lender, Korea First Bank. The Asia-focused bank agreed in January to buy the entire stake in the Korean bank, beating its bigger rival HSBC Holdings. The deal marks Standard Chartered's biggest acquisition. Following the approval, Korea First Bank is set to hold a shareholders' meeting on April 15 to appoint new management, the bank said. John Filmeridis, StanChart's global product head, will be named the new chief executive officer upon shareholder approval, it said. Shareholders will also be asked to approve a plan to delist Korea First Bank's shares, a spokeswoman at the Korean bank said by telephone. Shares in Korea First Bank have not been traded since 1999, when it was nationalised after being hit by the 1997-98 Asian financial crisis. The acquisition will make South Korea StanChart's second-biggest market after Hong Kong. 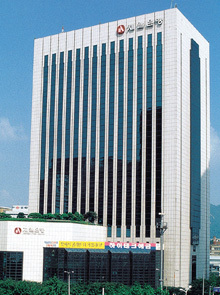 The London-based bank aims to be the fifth-largest lender in South Korea by 2012. The deal includes buying a controlling 48.6 percent stake in Korea First Bank held by US investment fund Newbridge Capital and the remainder owned by South Korean government bodies. Korea First Bank, with over 3.5 million customers and 406 branches, had 41.7 trillion won in assets at the end of December.